By now it’s crystal clear that automation of menial tasks is accelerating in recruitment, as it is in many other industries, from medicine to finance. Welcome to the digital economy 2.0, a place where burdensome and time-consuming administrative jobs are handled by automation tools. But let’s be honest: That’s somewhat of a tired story. Everyone is talking about the transformational impact of AI in recruitment. In fact, if you did nothing but listen to blogosphere chatter, you’d likely conclude that AI may soon be in charge and telling humans what to do. Here at DaXtra we know that it’s just the opposite: With all of this automation, human skills are becoming even more – rather than less – valuable in the recruitment industry. This is simply a long way of saying that critical (rather than robotic) thinking, and human intuition, very much have a place in the future workforce. That’s because AI will ultimately be able to automate itself. But algorithms can’t, and probably never will, think philosophically. Only humans can. In the recruitment industry, I predict the request for the ‘human’ skill of ‘seeing beyond the resume’ will rise in demand in coming years. Recruiters will need to see beyond box ticking and skills itemizing, and evaluate candidates from a holistic perspective, both quantitatively and qualitatively. Of course, the right technology tools will certainly enable this process by highlighting which candidates look best on paper – whether candidates have the required qualifications, or went to prestigious schools. And the right tools will sort and rank thousands upon thousands of resumes accordingly. But then comes the much harder part – the subjective, and inescapably human, evaluation of the best candidates. No algorithm, no matter how advanced, will ever replace the nuanced judgements derived from human intuition. We’ve all heard it before: She was a perfect candidate on paper, but she wasn’t a ‘good fit.’ Drawing such conclusions that don’t square with the data is the human part – and it’s a level of analysis that recruiters will need to focus on now that numerous AI tools can handle the admin tasks that previously consumed so much of their time. 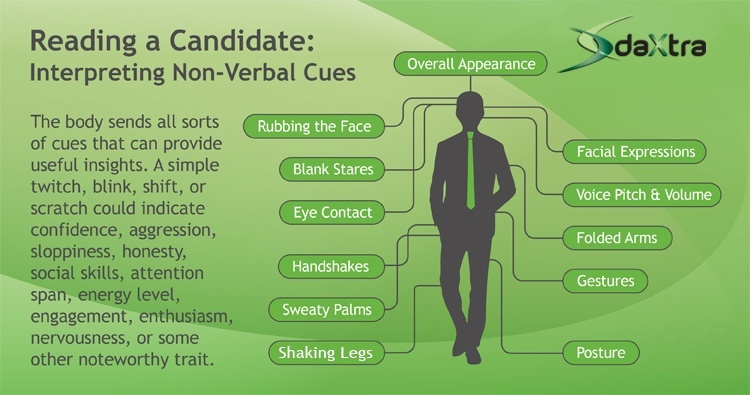 While looking beyond the resume, recruiters will also need to learn how to evaluate subtle behaviors and social skills exhibited by candidates – mapping the types of signifiers that indicate whether a candidate will ultimately succeed in a particular position or company. For an example let’s revisit the ‘good fit’ analogy. Perhaps a candidate is less qualified on paper, and earned a lower Grade Point Average compared to another applicant. But following a one-on-one meeting, the recruiter determines it’s clear that the candidate not only has the outgoing and dynamic personality the position requires but would also fit in with the culture of the hiring company. Digging deeper, perhaps the lesser-qualified candidate asks meaningful questions during the one-on-one meeting, revealing an active and curious intellect, whereas the more-qualified or academically accomplished candidate just remains quiet and rests on the laurels of previous accomplishments. Given that automation doesn’t yet (at least as of mid-2018) have the skills to map the connective tissue between behavior and culture, only a human can decide who is truly the best candidate. Recruiters of the future will likely need to accept that skills matching may become less important than character assessment. As they dig deeper into the human side of recruitment, recruiters, in the near future, will also need to get out of the office more and develop real relationships with candidates. Recruiters will no longer be able to sit behind their desks and hope the best candidates come their way. That’s because candidates will increasingly gain more power in the hiring process. The fact remains that networking has never been easier for job searchers – whether that’s via a LinkedIn profile or some other digital channel. 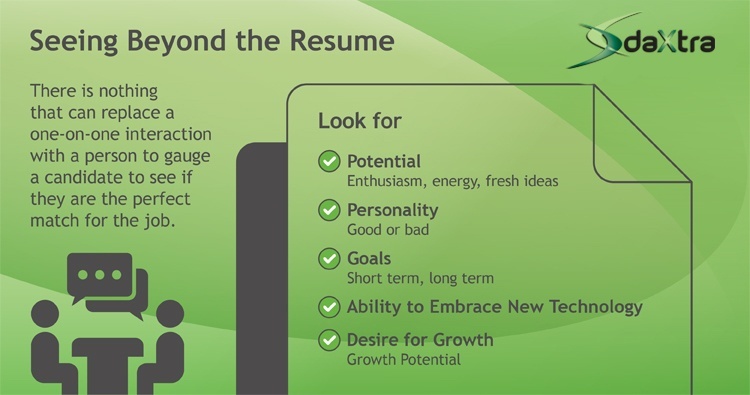 This puts the onus on recruiters to become and remain front of mind for quality candidates. This means taking the time to get to know these candidates and understand their motivations and ambitions; establishing a rapport and helping them achieve goals throughout their careers, so when their plans change, the recruiter is the first person they contact. Real relationships of this kind can’t be built through a quick coffee, or a call only when opportunities open up. Candidates need to be engaged constantly, in the form of both personal outreach and interesting ideas and content that demonstrate knowledge of the candidate’s values and broader industry trends. There’s no doubt maintaining this level of engagement is a significant investment, but it is vital to meeting both candidate and employer goals in an increasingly competitive industry – and a process for which there are no automated shortcuts. Of course, the days of casting wide nets and hoping quality candidates miraculously materialize are not necessarily at an end. But such an approach is unlikely to attract the best candidates or achieve the desired results in today’s digital economy. This isn’t to say that Mark Cuban’s statement is 100 percent accurate; or that agencies of the future will actively hire young graduates with philosophy degrees. But what is certain is that the human touch will become ever more important in recruitment, even if advances in technology continue to dominate the headlines. Learn more about our intelligent recruitment solutions.